Join one of two 30 minute webinar sessions to learn more about the program and offerings. MARKETING THAT MAKES SENSE FOR TODAY'S WORLD. WE ARE SO EXCITED to introduce to you the 2019 Marketing Co-Op Program! Offered exclusively to Unilock Authorized Contractors, the program’s offerings are designed for success in today’s world. 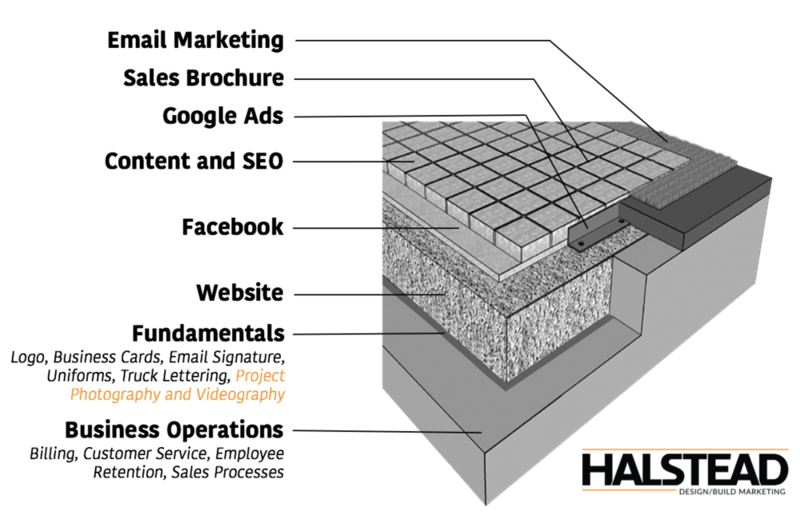 Unilock is investing in your success by covering up to 50% of these cutting-edge services. Choose from 6 templates (customized to your brand). Choose your own photos, videos, or stock photography. Includes most technical work needed for domain transfer (email migration/setup not included). Free medium-level customizations when also subscribing to the Monthly Marketing System. Other one-time services available to add-on such as Google My Business setup, logo design, and brand strategy. Unilock pays $500/month for the first 4 months and you pay the rest. Keyword and city research (population, income). Original blog articles (3/month) for website visitors Search Engine Optimization. Facebook posting of these articles & boosting (incl. $30 ad budget). Ongoing minor website updates (for sites we build). Quality link building (online PR). Monthly email campaign (3 articles) using Mailchimp. Free Initial bonuses for Unilock Authorized Contractors only: Houzz setup and management (if photos are available) & Google My Business setup or optimization. Other one-time services available to add-on: Reputation management, comprehensive social media advertising and/or posting, photography/videography. Regular price $3,500 and $4,500. Several templates customized to your brand. Choose your own photos or stock photography. 500 printed copies and digital version. $400 of total is advertising spend. Keyword development plan to target 5-10 critical keywords in service area. Apply a Single Keyword Ad Group strategy (which results in tens of ad groups and lower cost-per-click). Free Initial bonuses for Unilock Authorized Contractors only: Landing pages (available for only websites we’ve designed) and no upfront costs. This is a starter Google Ads advertising plan - option available to increase ad spend. $350 of total is advertising spend. Campaign development with various goals including website form submissions, calls, lead forms, and Facebook messages. Custom ad copy/text & creative and testing for effectiveness. Audience development, testing, and editing. Free Initial bonuses for Unilock Authorized Contractors only: Landing pages and Pixel installation (available for only websites we’ve designed) and no upfront costs. This is a starter FB/IG advertising plan - option available to increase ad spend. Includes drone fly-overs, video, and interview footage. We layered the marketing services based on what your customers care about most combined with what brings you the most value. The website comes first (after your business ops) because everything after your website drives people to your website. And yes, most people will visit your website regardless of how they found you. Referral? Went to your website. Facebook post? Went to your website. Don’t pour money into Google Ads or a brochure (or anything else) unless your website is in top-notch shape! GET IN TOUCH WITH US TO TALK ABOUT YOUR WEBSITE, CONTENT, SEO, BROCHURE, GOOGLE ADS, OR FACEBOOK/IG ADS.